Is Tatman the Missing Puzzle Piece? 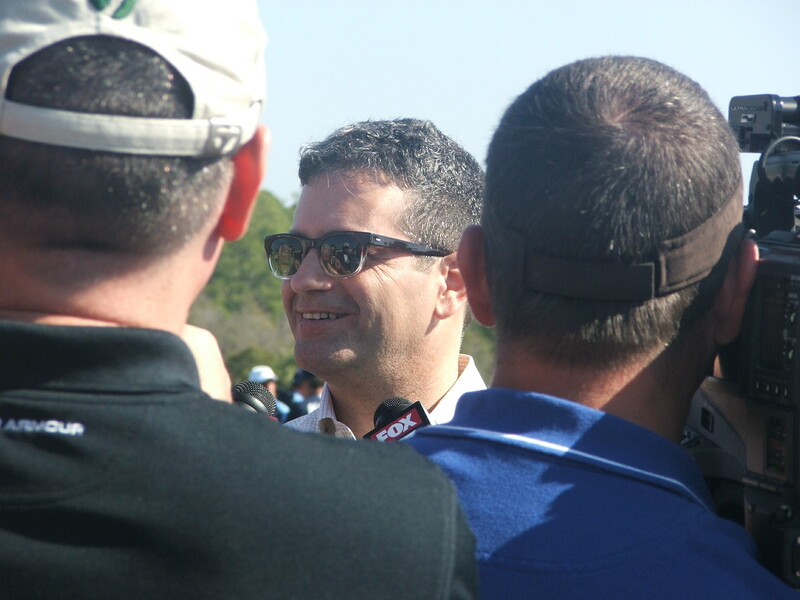 On the surface most people might be scratching their noggins wonder what Tampa Bay Rays Executive VP of Baseball Operations Andrew Friedman was thinking trading for another infielder. 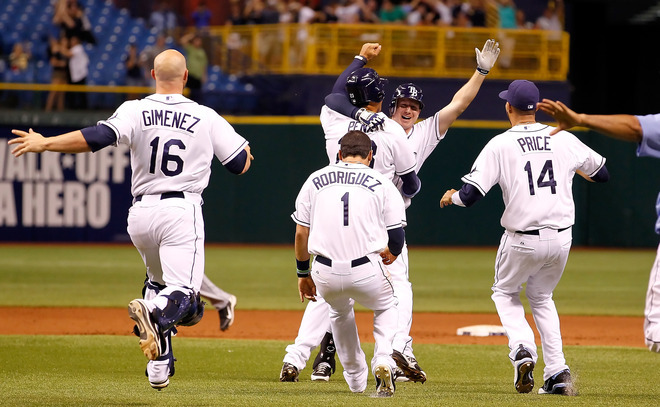 Here the Rays go again gathering up loose vital pieces from other clubs like they have previously with the likes of Will Rhymes, Jeff Keppinger and Brook Conrad. Friedman however did buck the usual hectic Trade Deadline pattern by offering up a peace offering of a 2B Double -A prospect (Tyler Bortnick) for the services of Roberts, who will be under team control until 2015. This is usually the time of years where teams dispense or send lengthy and costly options to other vistas. It is pretty rare a player who was recently designated for assignment to let another Arizona infield player have his 40-man roster spot gets traded. 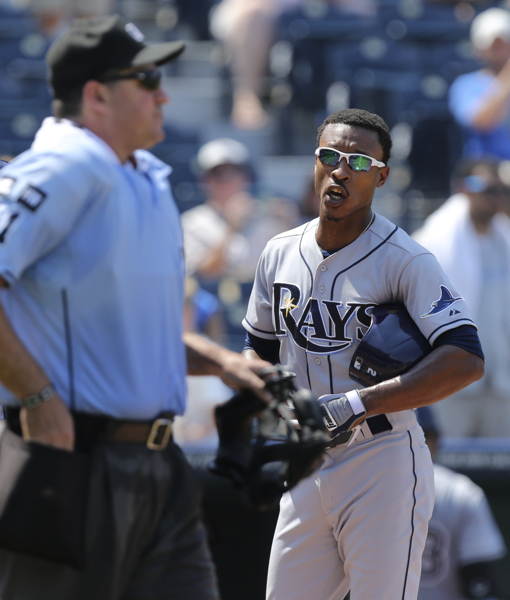 But the Rays followed their defined and articulated mindset of getting a player with some “meat on their bones” for future considerations instead of renting a body hoping they can help the Rays offense flourish. Underneath the surface, down near ground level the truth begins to appear, and it seems Friedman again possibly stole a player who could be a Rays fixture for at least 3 more seasons. Even closer to the sand granules you will see past Roberts current .250 average and peek under the sand pile to actually see that Roberts has been on a bit of a offensive tear recently. Roberts might have been used a bit sparingly, but has hit for an impressive .438 (7-for-16) average over the last 15 days with a couple RBI and stolen bases to his credit. Going to be interesting as Roberts makes his way to Baltimore to meet up with his new team. Might be even more interesting to see what transpires with Roberts Twitter account (@RRoberts14 ) now that he is a Ray and SP David Price has cemented his name with uniform # 14….I hear jersey # 41 has a vacancy. 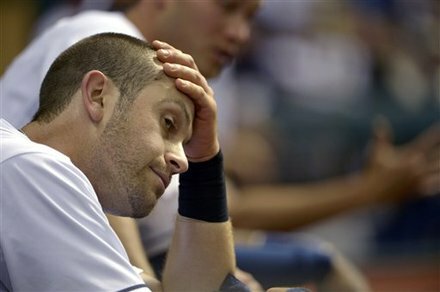 Recently we have heard the howls and hoots that Evan Longoria could soon be finally going on another rehab run, hopefully this time with no setbacks or stalls. But if anything would happen, or even with the possibility that Longoria with Luke Scott still out with back situations, and Hidecki Matsui gone into the brilliant sunset, Longo possibly could come back a bit sooner than later and man the DH slot for a bit while he gets into game shape and gets his defensive rhythm on track. That is where possibly the addition of Roberts could bring about a few bonus points, possibly giving the Rays and Longo a DH option so the team can get his bat back into the line-up. Could Roberts be the long awaited puzzle piece that finally gets the Rays offense and defense running in unison and firing on all their cylinders? 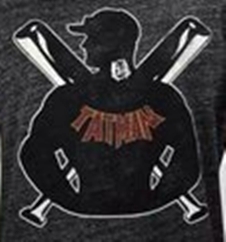 If his 2011 stats can come to life again in Tampa Bay, and his hard nosed style of play continues…..Tatman may be here for a long, long time as a Ray. 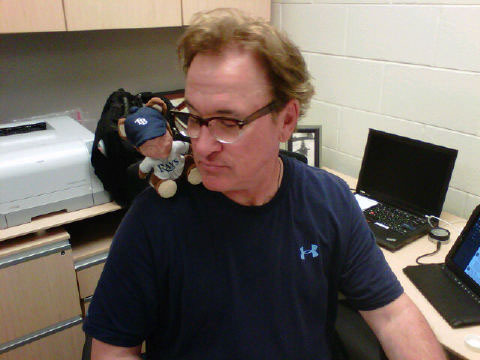 I truly do not know if the ever expanding legend surrounding this player has kept him on this Tampa Bay Rays roster. Some have been more than adamant that he is a shell of his former self, possibly dialing in his last breathes in Major League Baseball. 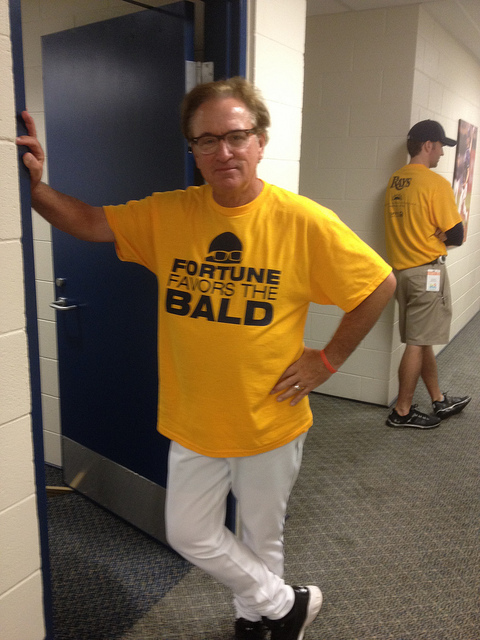 I seriously do not see the reasoning or the dramatic prose of keeping Hidecki Matsui on this Rays roster. 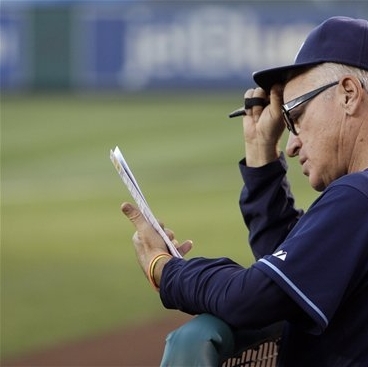 Even last night as Rays Manager Joe Maddon closed his office door post-game in a personal discussion with his staff and front office personnel, I thought surely the fairy tale of this version of “Godzilla” might finally play out to a release or possible waiver. Not sure if the creature known as “Godzilla” has any feline traits, but definitely Matsui has evoked and used up more than 9 Rays lives in his short tenure. I wanted Matsui to be a firm Rays building block, the keystone to a offensive revival of the Rays arsenal, but except for a few blasts more from the past than the present, Matsui has produced more blanks than lethal shots. It has now been over 3 weeks or 21 days since the “of Japan” demigod had a pair of singles going 2-for-3 against the Detroit Tigers on July 1st. Sure most will point towards Matsui only striding to the plate 15 times since that day, but with strikeouts to end two of the last 3 Rays last ditch efforts at victories, something has to give soon. I truly want to look into Matsui’s Rays locker and find that lucky charm, that atonement symbol that has blessed him with chances after chances to provide defining moments, but has left us all wanting. In 20 plate appearances this month to today’s contest, Matsui is 2-for-15 with 7 strikeouts and has stranded 23 of 24 men who stood on base during his at bats. That statistic by itself lends the point of view that Matsui has performed beyond abysmal. I know Maddon has a huge amount of respect and admiration for Matsui, but I’m beginning to question the sanity of seeing # 56 in a Rays uniform at all. 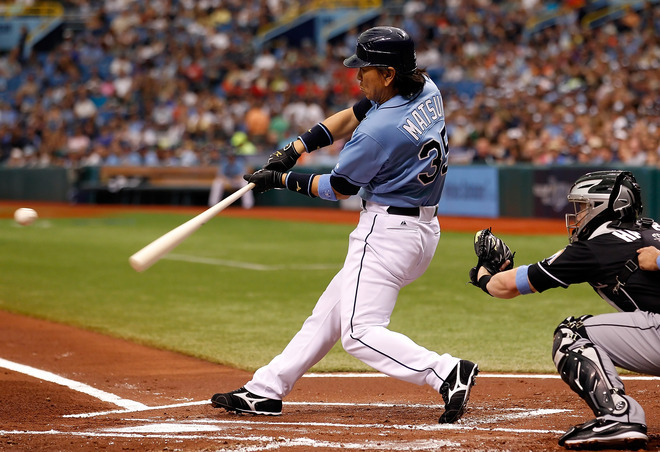 For the Seattle series, Matsui is 0-6 and is scheduled to be again the Rays DH for today’s contest. When do we stop the madness and cut our losses, possibly calling up someone like Stephen Vogt again who definitely can hit better than Matsui’s current 1.49 batting average. Considering Matsui was brought onto this club to help with getting runners in scoring position across the plate. A .148 average in that category mixed with a lone Home Run doesn’t boast any additional confidence for me for the daily use of Matsui. How can a opposing pitching staff be afraid of a guy who boasts a average that even Mendoza would shake his head at profusely. It seems right now that Godzilla’s fiery breathe has not only gone moot, but his been extinguished, possibly for good. Matsui started off his Rays venture impressively hitting 2 long bombs in his first few games, setting the table for good thing to come, but after that first volley of goodness, no Home Runs and only 3 RBI over his 30 games. Pressing further into the abyss we see Matsui has produced his worst year ever so far as a professional, and it only gets worse. 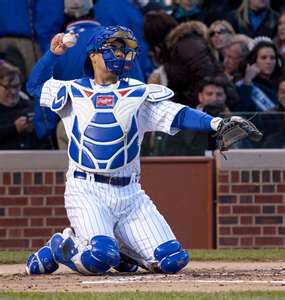 is not even an adequate field player or late inning replacement any longer and has proven more than a few times to seem lost and flustered out in leftfield. Matsui have only had a total of 14 chances in the outfield endeavors, but his lack of total confidence in the field has flashed upon his face as he moves toward balls in play. 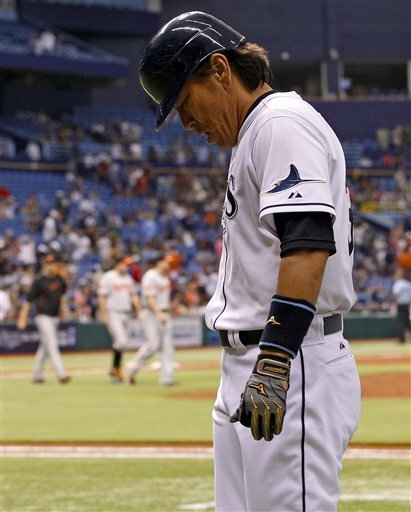 His last start against Boston on July 2nd, Matsui suffered a hamstring injury . 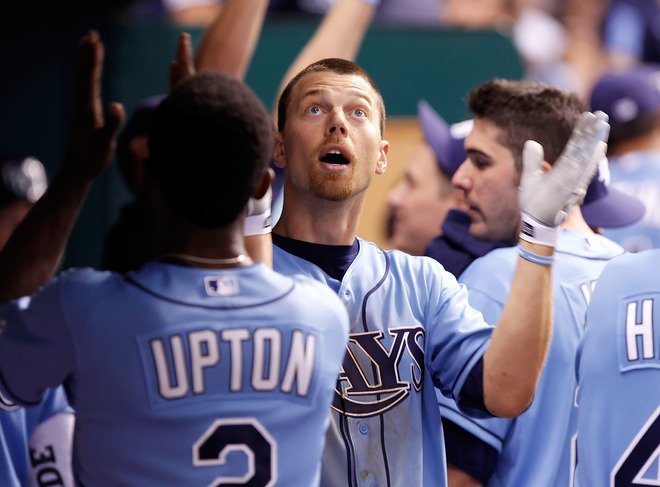 Truly I think we have seen his last days as a Rays outfield accessory. 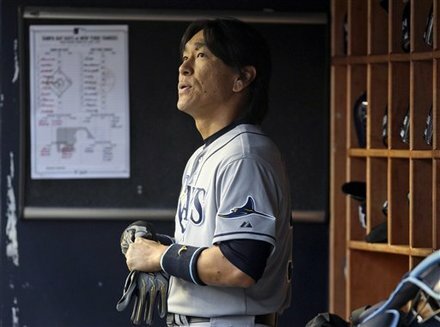 I know this is not the fairy tale ending any of us wanted for Matsui, but it might be time for the Rays to sever the cord. Matsui is not even a remote threat in the Rays offense that is currently ranked 28th in the MLB. 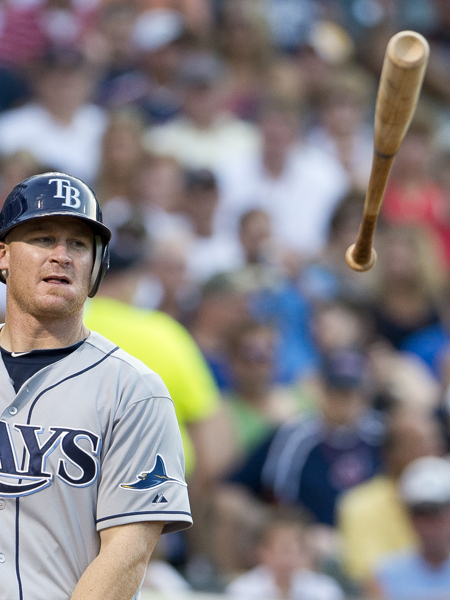 He was brought into this Rays fold to be a defining offensive weapon, but has produced mostly blanks. Matsui was suppose to protect the bulk of the Rays line-ups, but they have done more to protect him than you can imagine. Maybe it is time to face the reality this venture turned into a horrific mis-step instead of a solid foot forward for the Rays. 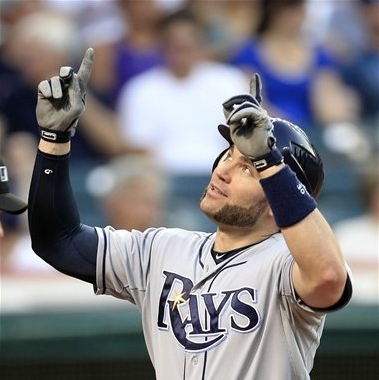 After Sunday’s contest, the Rays get a day off on Monday before embarking on a 10 game road trip that will not see them back at the Trop until after the Trade Deadline, maybe cutting their losses and freeing Godzilla is in the best interest of the Rays chance at the post-season. 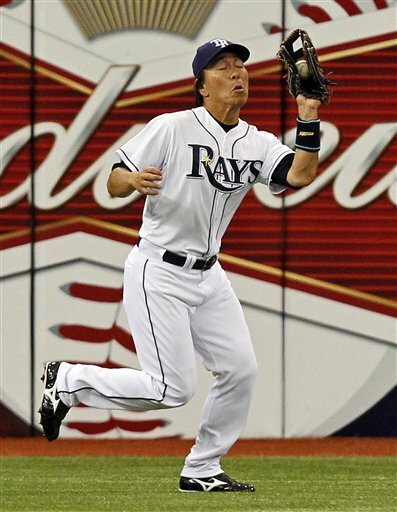 I mean if Matsui was any other player in the Rays organization, he would have been gone long before now. Sorry Godzilla, it’s not personal, it the business of winning that drives baseball. What if I could give you an alternative to obtaining that cherished signature of your favorite sports figure without having to feel like a sardine in the can awaiting his arrival down by the field railing? What if I can get you virtually and digitally “hooked up” with a unique way to not only get that autograph, but be provided the additional added bonus of getting your selected photo personalized with the cherry on top of it all being a 30 second sound byte by that player? etter yet, what if I told you it is not only pleasantly affordable, but it can also be conveniently emailed with no tussle of fuss of having black Sharpie stains on your fingers or hand, plus the stress-free addition of not having to fight your way in or out of the assembled crowd seeking that same player’s autograph. Now Egraphs can not only make that experience pleasant, it can give you the opportunity to get a photo personalized without worry of offending the player or those seeking his autograph without the hassle of wasting your precious time and possibly being one of those missed by the player before he leaves. 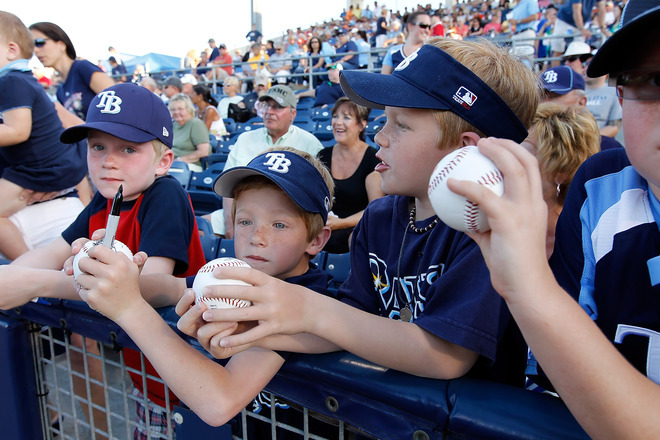 This revolutionary idea in obtaining and personalizing autographs was the brain child of the Auld brothers David and Brian who also happens to be the Tampa Bay Rays Senior Vice President for Business Operations. Brian might be the “idea guy”, but it is David who once worked for technologically savvy Microsoft out in Seattle brought this concept together after hatching the idea last Summer. 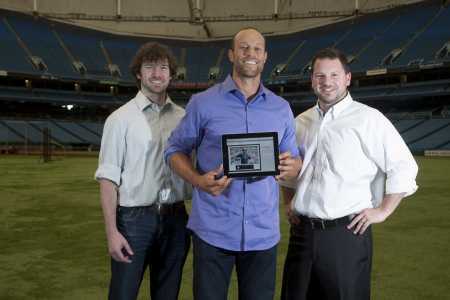 Also on board with the Auld brothers is former Rays player Gabe Kapler who will take on the role of Director of Business Development, and with his MLB connections should have a stream of players and MLB personnel both active and from the past phoning him for a chance at providing their own images and signatures to this expanding Egraphs universe. Think about this for a second, you could be a huge Rays fan who live outside the 727 or 813 zip codes living anywhere, anyplace in this country or overseas and by just going through a simple application you could receive a photo personalized along with a short voice message from your favorite player. This concept can not only broadens the player and teams fan base outside the confines of Tampa Bay, it brings about the possibility of these special autographs and photos being presented as special tokens of loyal fans through the Rays Republic on a worldwide basis. Even at the recently completed All Star Game festivities in Kansas City, Missouri there was chatter and whispers about this great product, and I would not be surprised if the Egraphs roster of players doesn’t explode over the second half of this season and be a formidable personalized autograph provider by Spring Training 2013. Interesting enough, one of the first investors in this project was Rays principal owner Stuart Sternberg who knows a thing or two about investments and risks. 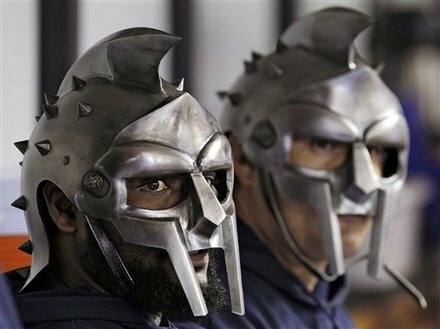 And if you peel back the surface of this presently baseball-related autograph and photo opportunity, there is an unlimited and expansive opening of the arms to possibly include other sports from NFL, NBA or NHL as well as Hollywood stars and people in the news to become future providers of their images and signatures. And the process is really simple, heck I tried out the process today just to see how it all plays out, and it was effortless for me until I had to decide what I wanted message I might want personalized to myself or someone else. Maybe you write a blog and might want to use it as an avatar, maybe include it as a link on your website, or maybe you want a framed 8X11 of the photo for your office or personal baseball shrine? It is all as simple as writing an email and for an offering of $50 which includes a high resolution photo which is electronically signed and personalized by the player, then emailed to your email address. This whole painless autograph process is not only affordable, it is a down right steal. Think of how invaluable this is not only for the fans, but for the players as they can use an I-pad device anywhere, even on the charter flight, in the clubhouse, or maybe even lounging on a Florida beach during an off-day or off-season. 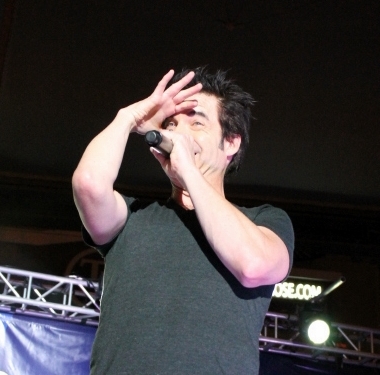 By simply using a stylist and voice recorder, the player can complete the request in their leisure taking away the added stress of a crowd of people with Sharpies, balls or photos waved in front of them for their signatures. I truly think this whole new way of getting autographs could bring about a serenity to the whole process and will be a great asset for both parties involved. Egraphs currently have around 100 players in their stable, but as other learn of the ease of this new autograph endeavor, the Egraphs list will expand as rapidly as Kapler and his (future) staff can answer the phone. Of course some people are afraid the signatures might not be original, and possibly be duplicated in some way. 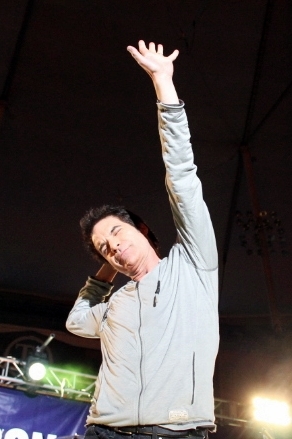 Well, Egraphs has devised a system where not only can the clubhouse assistant or friend of the player not sign the photographs, there is a voice recognition system to not only helps authenticate the process, but give you the satisfaction of knowing you got the autograph you desired along with a real voice message. Of course for an additional fee of $45, you can also get a certificate of authenticity provided with your 8X10 framed photograph that will not only be good for future generations, but gives you piece of mind and security that this is indeed an real photo and signature of your favorite player. So if you want to check out Egraphs, you can click on any of the “Egraphs” mentions in this posting, or go to this link and check it out for yourself. 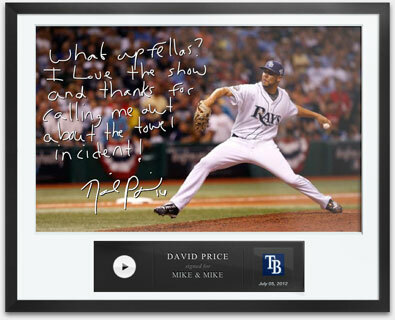 This new way of getting autographs is not meant to replace or remove the thrill or adventure of getting it in person, it just gives others the opportunity to also get that exciting feeling of having a genuine MLB player’s photo and signature, with a personalized both written and vocal message just for them. That to me is simply priceless. Everyone might remember I had some reservations on the new “Captains” format for the State Farm Home Run Derby in 2011. After thinking about it for almost a whole season, it might have some legitimate merit, but maybe it can be tweaked a bit, just like the All Star Game starter and player selection process. Hopefully today I can outline my ideas, and maybe some day M L B will take credit for it ( just kidding). The Captain format did take the selection process out of Major League Baseball fingers, but ( to me) it seem to evolve into a collection of “buddies” or power-stroking brethren taking turns hitting a baseball more than a competition that let fans from all over, including other countries outside the United States see our budding MLB stars. So why not make the American League and National League Home Run leaders at the All-Star Break the Captains in the future? That would give more of a guarantee to the assembled baseball fans the best long ball hitters from both leagues will not only showcase their unique craft at the All Star classic, but also give the media and announcers a chance to further show the participants in depth, possibly making them household names in other vistas. 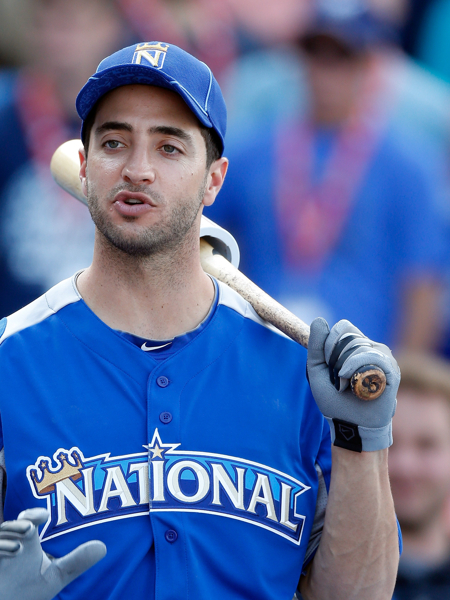 In 2011, that would have made Toronto Blue Jay Jose Bautista and St. Louis Cardinal Lance Bergman the first 2 players selected for the Home Run Derby. 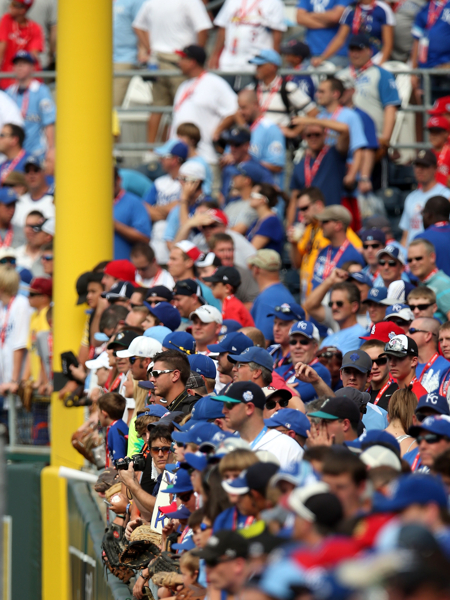 Combined the pair have crushed 55 balls into the stands heading into the 2011 All-Star Break. From there I would love to implement a “ State Farm Home Run Derby Participant” premise and re-institute it with 8 names from each league which would be announced a weeks in advance of the Monday event and conclude on that Saturday evening to decide which 3 candidates would of stood with Bautista or Bergman in 2011 as members of both the American and National League squads. I know I’m using 2011 as an example, but sometimes we can learn things from our past, or fail again and again by refusing to acknowledge it’s flaws. Sure there could still be the horror of the large market teams stuffing the ballot box, but I have a solution to keep multiple players from each squad off the final selection team. To keep the Red Sox, Yankees, Cubs, Cardinals and possibly the Dodgers from stuffing the ballot boxes, there would be no multiple players selected from the same franchise. That ruling would have split up the 2011 pairings of Adrian Gonzalez and Ortiz, plus would have made either Rickie Weeks or Prince Fielder the Brewer selected for the Home Run Derby. This rule would have also eliminated Matt Holiday in 2011 since Bergman would have been the Cardinals representative. Such a regulation would keep an unbalanced Home Run Derby squad that should of included players like Cincinnati Red Jay Bruce, Chicago White Sox Adam Dunn, Oakland Athletics Josh Reddick or even Oriole’s Adam Jones could of had a chance to be voted into the event. If this system had been in place for the 2012 event, Texas Ranger Josh Hamilton and Milwaukee Brewer Ryan Braun would have been the “Captains” of the event since each lead their respective leagues in Home Runs at the break. 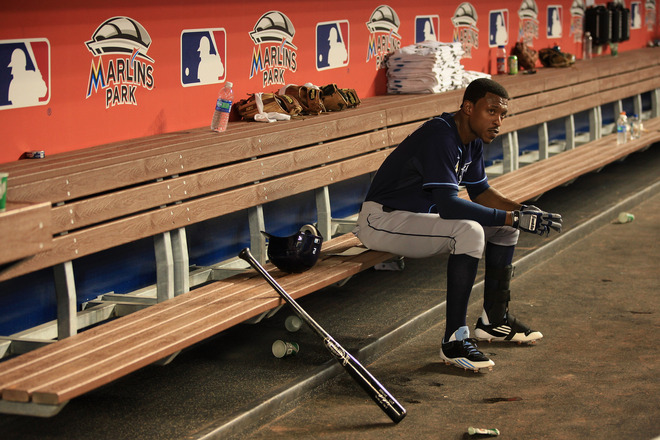 Heck, based on Home Run totals, the New York Yankees could of been represented by Curtis Granderson than Robinson Cano. Sure there are thing to be worked out, and holes to fill by players not wanting to participate, but M L B could get those “Yeahs” or “Nays” at the conclusion of the All-Star voting and hype up the Home Run Derby selection process with an entire week of plugging certain players, or maybe even trying to get a up-and coming player most of the country has not seen hit the ball like the A’s Reddick, Brewers Corey Hart or even Philadelphia Phillies Hunter Pence a chance on the big stage. 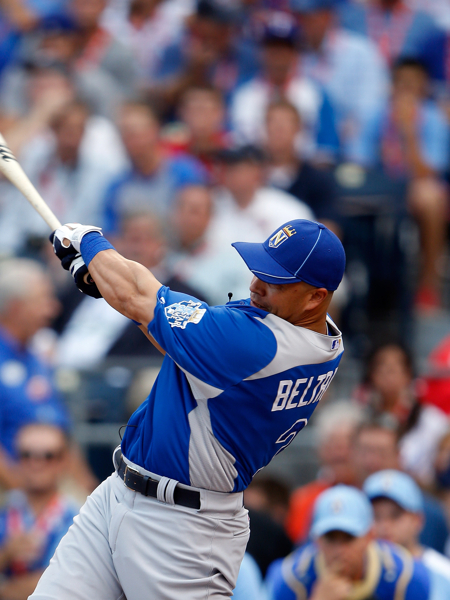 M L B made an honest effort in 2011 of trying to correct some past Home Run Derby wrongs, and they made great strides in the right direction. Now by also involving the fans in the process, we can get a more suitable and diverse selection that will have people again excited about the event. With a few slices and dices in the right spots, the State Farm Home Run Derby can come back in 2013 in the confines of Citi Field (July 16th) in Flushing, New York for the 2013 All Star Game more lean, mean and possibly pounding ball after ball out of the long confines of that massive ballpark. That would be a pure joy to watch. Could Rodney’s Arrow Pierce the All Star Game Sky? 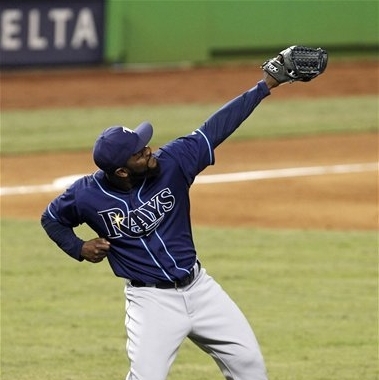 I think it is kind of apropos that Tampa Bay Rays President Emeritus of the Rays Archery Club (RAC) Bullseye buster Fernando Rodney can possibly get his moment in the moonlight this Tuesday night and get a gladiator’s chance to make a difference in the 2012 All Star Game in Kansas City, Missouri. Who knows, with any luck and the right stars aligning for both Rodney and fellow hurler David Price, the Rays duo might have the chance to possibly throw the first and last pitches of that celebrated game. The announced starters for the game will probably not be revealed until later this weekend, but you got to think AL Manager Ron Washington might be leaning a tad towards a southpaw starting it all off. Even sweeter for Rodney is that pure fact he got the nod for his first All Star chance via the American League player’s ballots, so we know his AL peers not only applaud his 2012 accomplishments, they are hoping some of that bowmen’s magic hones in on the strike zone with Rodney possibly having a stellar late inning chance to bring an All Star victory and World Series Home advantage to the American League. 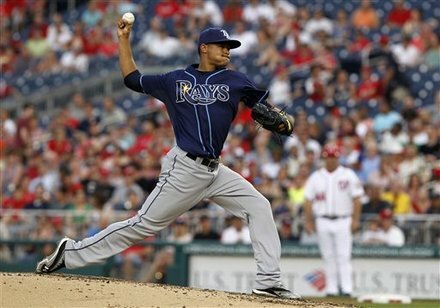 How amazing is it that for the 3rd consecutive season the Rays will send at least 2 hurlers to the All Star game. 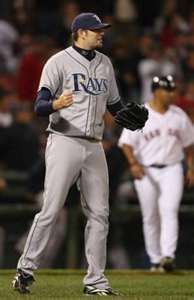 2012 also marks only the second time a Rays starter and reliever have both made the same All Star team. 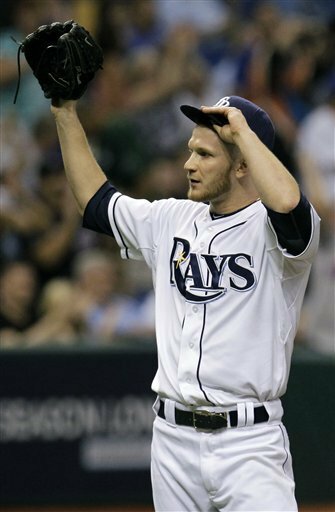 The first time a Rays starter and closer donned All Star garb was back in 2010 during Price’s first All Star gig when he was joined by Rays closer Rafael Soriano. In all, the Rays have now sent 5 different relief pitchers to the All Star game, but Rodney might have a chance to finally have a Rays reliever be the last man standing on the hill. 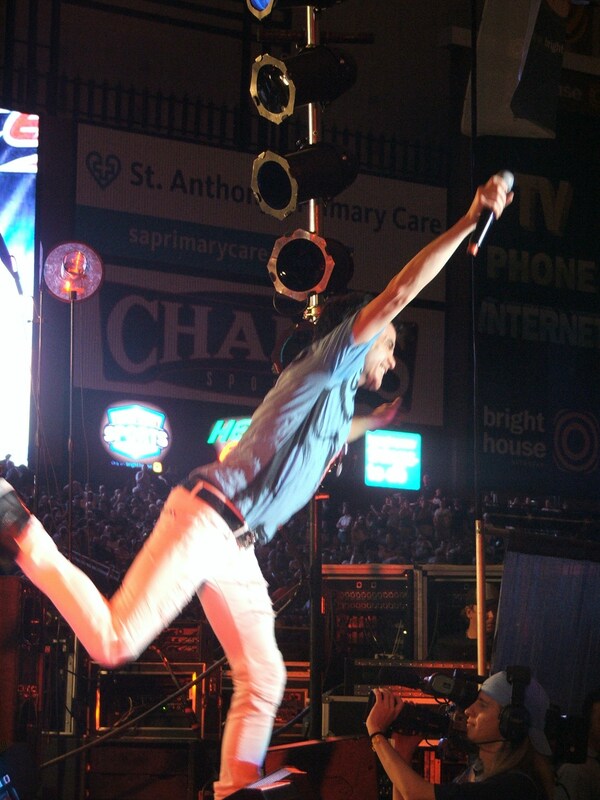 Sure Scott Kazmir made a relief All Star appearance, but it was out of necessity not an ordained relief effort. How great a comeback or revitalization story will it make for the networks covering this global event that baseball gurus and pseudo-GM’s around the MLB basically all threw clumps of dirt on Rodney’s chance this season after an abysmal 2011 season in Halo-land where he posted a 3-5 record with a 4.50 ERA and just a handful (3) of saves. 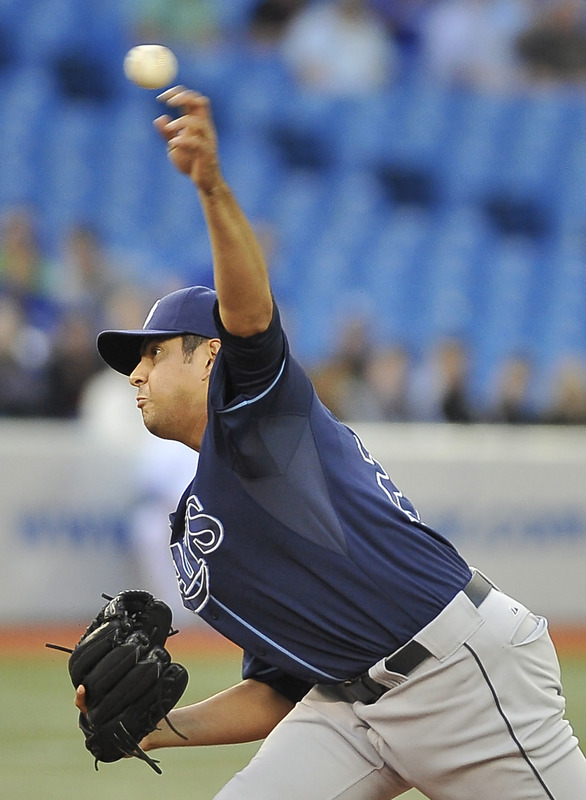 More than a few MLB scouts possibly thought the Rays needed an intervention taking on a guy like Rodney who only threw 32 inconsistent innings in 2011, and chalked up only 26 strikeouts. You have to honestly have to hold up a votive candle to the Rays front office again going to the dark passages, taking a chance on an aging veteran who responded by posting some Lazarus type number, showing not only resurrection of their careers, but high points in the process. 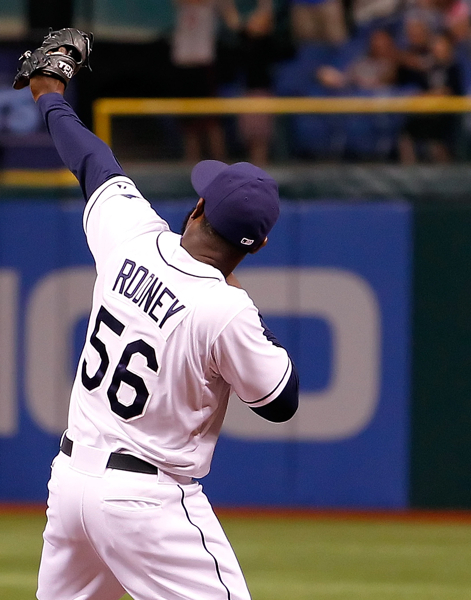 The Rays could have bypassed Rodney based solely on his inflated ERA, but the Rays saw something within him, a fire that still churned and burned and let Rodney loose to again dominate and dictate the game ending. Rodney only responded by posting 24 saves, and has a chance to eclipse the Rays pre-All Star saves record if he can get two chances in these last 4 pre-All Star break games against the Indians. 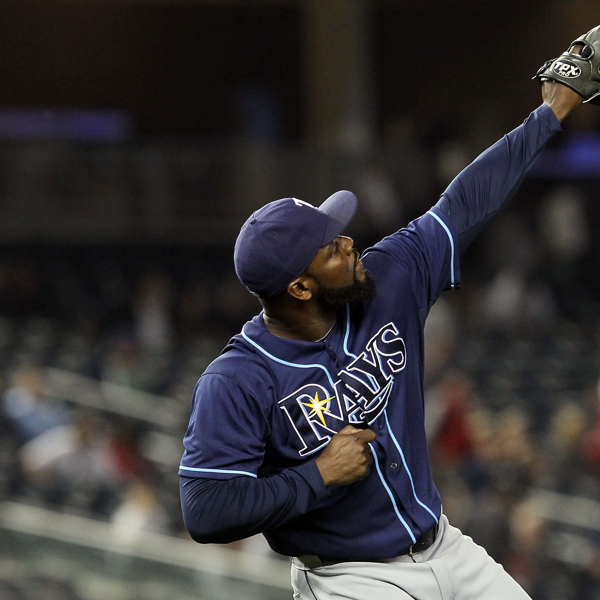 Want to see how much Rodney has personally turned his game around in 2012? 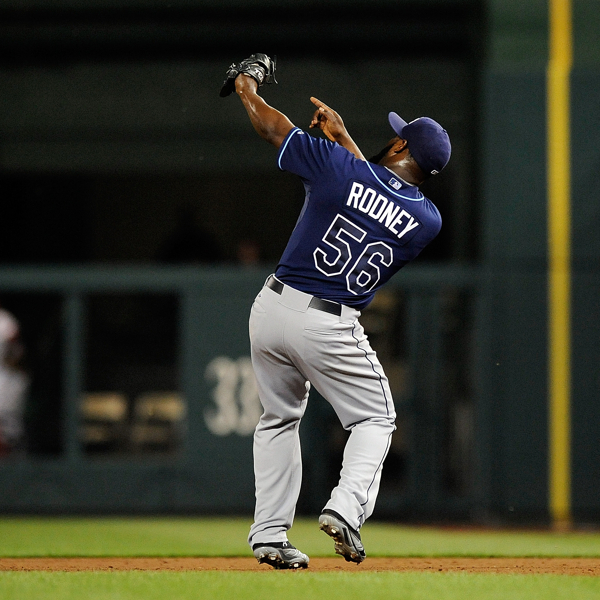 In 2011, Rodney entered 39 game total for the season. Going into the Thursday night contest in Cleveland, Rodney has already taken/finished 35 games for the Rays while keeping a sub 1.0 ERA ( 0.96 ERA). Going into this point in the MLB season, only 6 other pitchers in MLB history have boasted or matched Rodney’s 2012 totals. Rodney might have to extend invitations to fellow and past relievers JJ Putz (Seattle, 2007), Jonathan Papelbon (Boston,2006), Mariano Rivera (N Y Yankees, 2004), Dan Kolb (Milwaukee, 2004), John Smoltz (Atlanta, 2003), Rob Nen (San Francisco, 1998) and Dennis Eckersley (Oakland 1980). Impressive bunch to be associated with, wonder if Rodney will pass along free memberships into the Rays Archery Club for each of them. To further put the remarkable change of Rodney into more prospective, he has a chance to be the 8th pitcher in 8 seasons to lead the Rays in saves. Among the other Rays closers’ who have led the team in saves prior to Rodney, the list features 2 former All Stars, Soriano and Danys Baez who represented the Rays in the 2005 All Star game in Detroit. 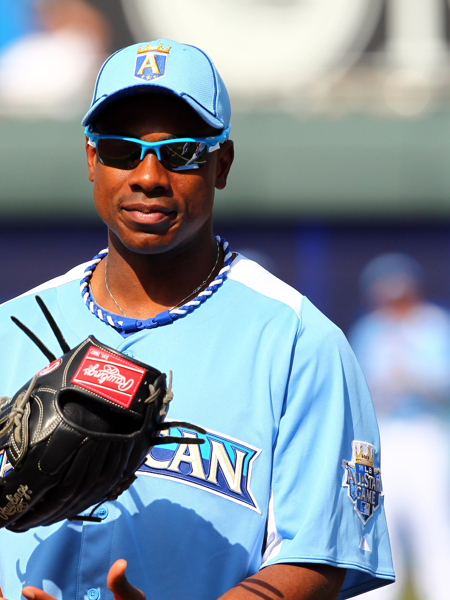 Rodney will also be the oldest first time Rays All Star at 35 years young. Rodney has done the almost impossible by taking his career 4.9 BB/9 IP and 1.69 SO/BB ratio and turning it on its head by posting a 1.19 BB/9 IP rate and 7.6 SO/BB ration this year. Even when opposing hitter are ahead of the count against Rodney, they are hitting only .111 against him. I want to throw one more remarkable number at you in regards to Rodney. 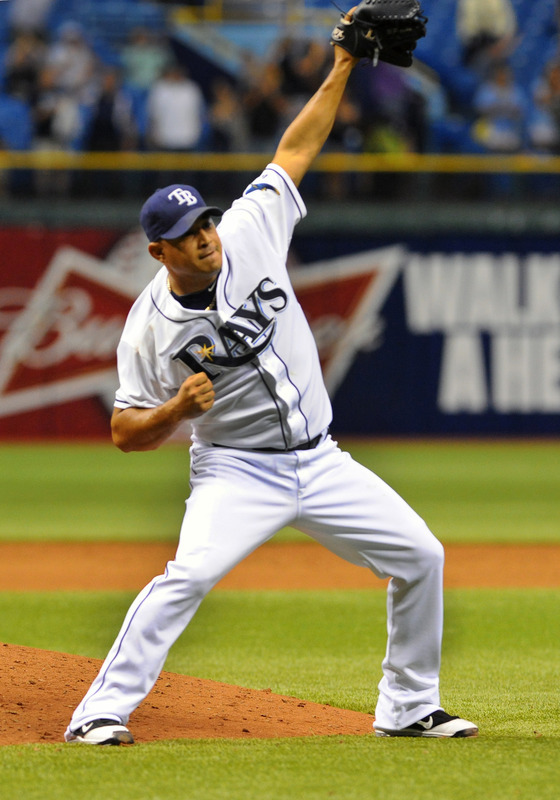 He has only allowed 1 Earned Run at Tropicana Field all season, and has an ungodly 0.40 ERA on his home turf. Even more exciting, Rodney has thrown his change-up 158 times so far with 113 strikes and opponents have swung at it 83 times and missed on 39 (46.9 % swing-and-miss ratio. 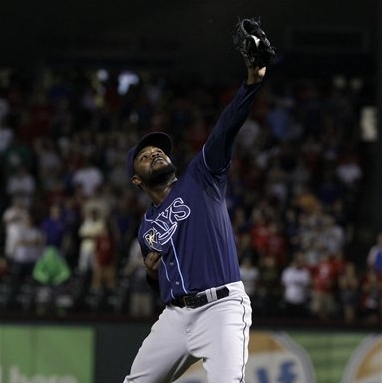 If there was ever a Rays reliever who not only could but should get his moment to let his sunburst shine and possibly bring an All Star victory to the American League, it’s Rodney. 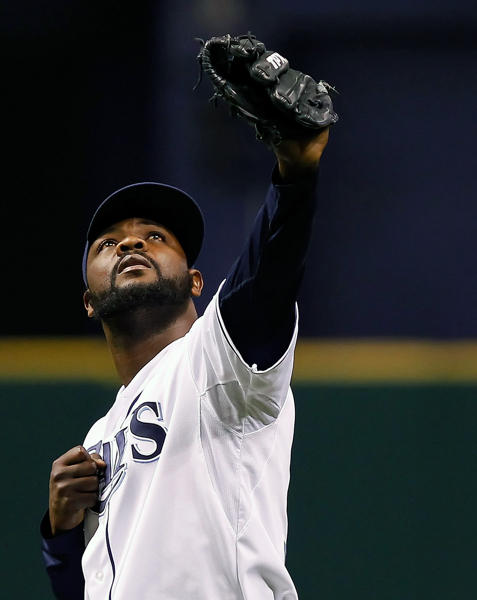 How exciting will it be not only for the Rays Republic, but for all baseball fans if they can get a chance to see the magic of Rodney as he closes out a win, then ceremonially bring the bow-string back on his celestial bow and send an arrow skyward. For me it is thrilling to see a rebirth of an MLB veteran like Rodney as he weave his way into the team’s fabric, posting stellar numbers that dwarf his prior MLB stats and provide a catalyst moment like his post game long bowing. Hopefully Tuesday night not only will Rodney “Shoot the Moon”, he will get the chance of a lifetime in front of millions of new admirers (and future RAC members). As we get down into the final frames of the American League All-Star Game Final Vote, I want to thrust in my 2 cents worth for a guy who I think has paid his dues, and should get a chance to throw the rock in Kansas City next week. Sure I might a bit of bias since he did adorn the Rays colors for a spell in his career, but Jason Aaron (not for Hank) Hammel who stands 6 foot 6 inches definitely has had a season that set himself apart. Sure a lot of the American League East fans kind of lost touch with “Hambone” after his trade on the last day of competing against fellow tall dude Jeff Niemann (6’8”) for the lone spot still unoccupied in the Rays rotation. Hammel traded the Rays sunburst for the purple and black of the Rockies, going where some pitchers’ ERA go to die. 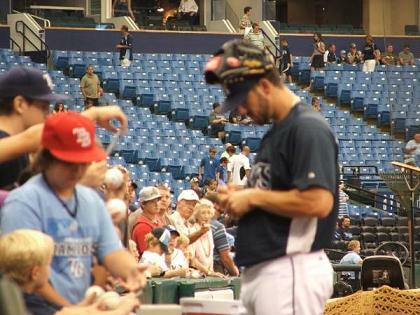 But Hammel, who was out of minor league options at the time and had a total of 28 MLB games in his cap buckled down and turned his pre-trade ERA of 5.90 during his Rays tenure to a more respectable 4.57 ERA in 350+ innings including an advancement of 7.5 wins above replacement in 2009-2012, more than any starter on the Rays or rockies not named (Ubaldo) Jimenez. In the seasons since Hammel left the sunshine of Tampa Bay, he has started 78 contests, posted 25 victories and seen 332 hitters return to the dugout via the K. But it wasn’t until Hammel got himself a bit of a homecoming via a trade to Baltimore this season that he has again shown up on the AL east radar as a prominent hurler for the Orioles. 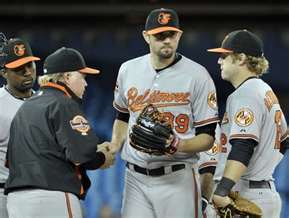 So far in 2012, Hammel boasts a 8-4 record for the O’s along with 16 game started, a complete game, a shutout and 97 strikeouts even before the All-Star break. His 8 victories is top on the Baltimore staff at the writing of this blog, and his 3.43 ERA leads the O’s staff. 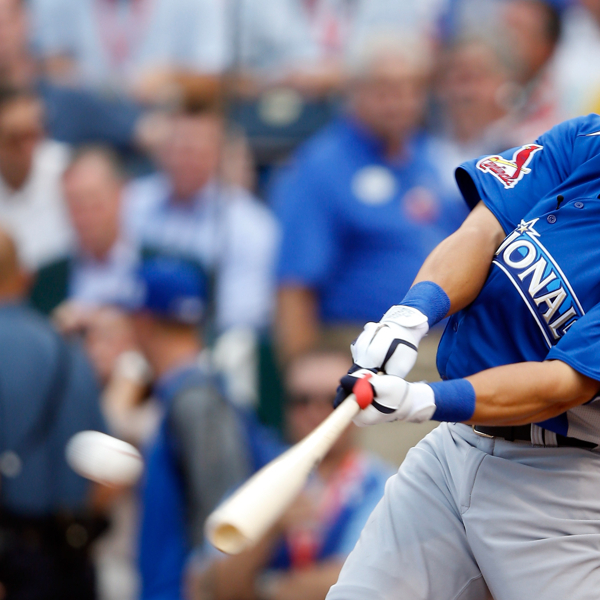 Maybe a bit of insight into Hammel might persuade you to cast a vote for “Hambone”. 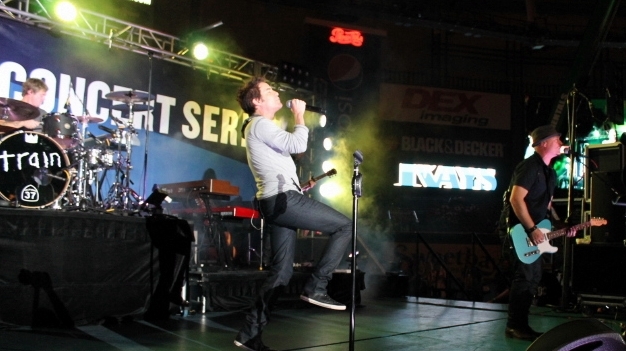 *** During his “Rays days”. 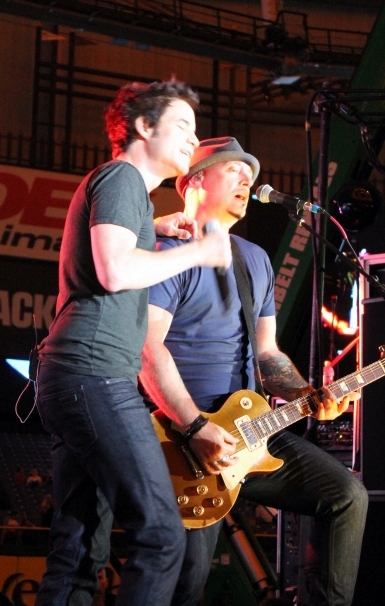 Hammel, a closet budding Rockstar was beginning lessons on the acoustic guitar. 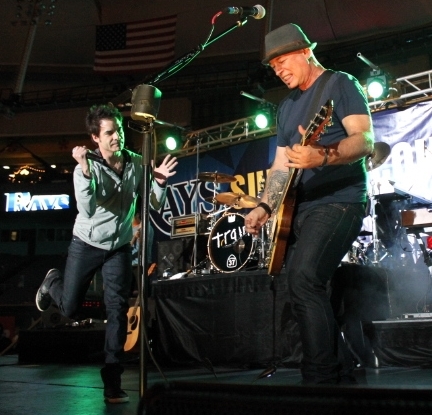 Too bad he got traded, Evan Longoria could use a good guitarist on his Rays clubhouse band. 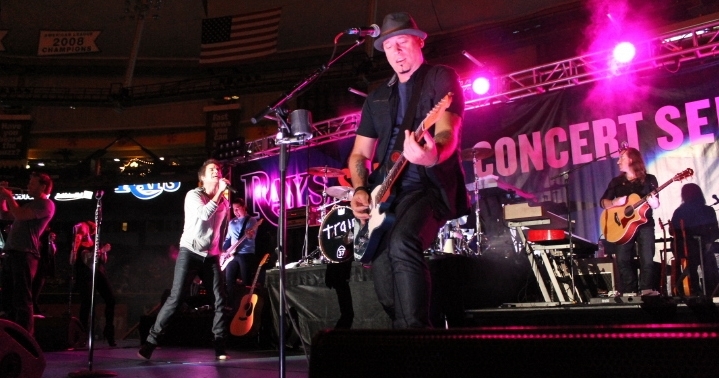 ( No confirmation on if he was Rockies or O’s Clubhouse Rock Band eligible). 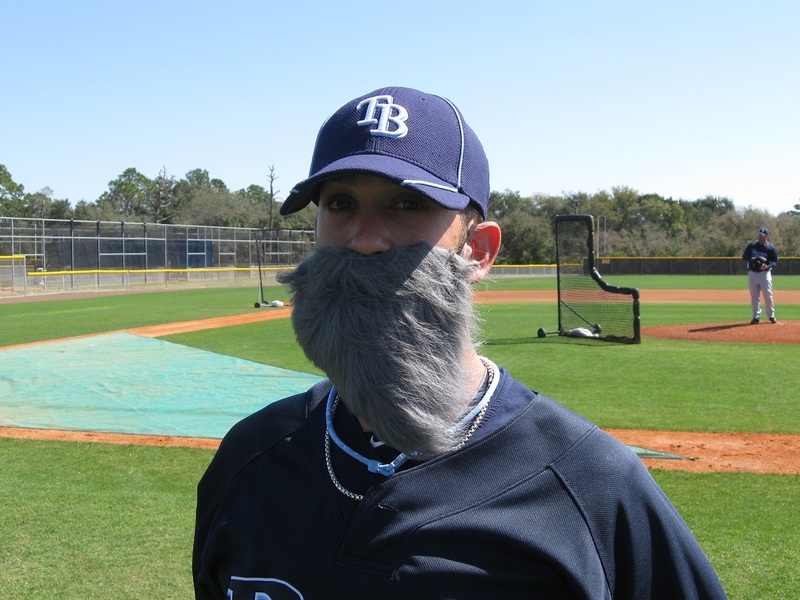 Seriously, I got to know Hammel pretty well during his “Rays days”, and this is the kind of guy who not only deserves this shot, but has the moxey and confidence to bring his game to the next level with this kind of National exposure. To me, that is what the All-Star game is all about, the uncovering of new talent to a nationwide audience who can also begin to watch as a player grows and becomes a solid MLB fixture. Sure Yu Davish might have a leg-up with all the hype surrounding his signing and exposure early on this season, but Hammel is the real deal, and Hambone is just the kind of pitcher this game needs to spice up the melting pot. 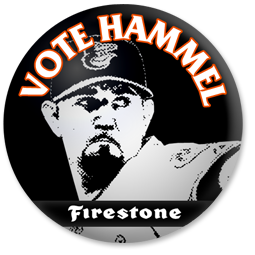 So you know where my votes are going…….Hambone as many times as MLB will allow me.